Ceramic Coatings Fact or Fiction? The jury has deliberated and a decision has been made. After years of testing marine ceramic coatings made for yachts and the harsh marine environment the science has finally been proven FACT. Freedom Yacht Services is a leader in the yacht refinishing and surface protection business and is at the forefront of this application revolution. A few companies exist in the production of marine ceramic coatings- one to speak of is ceramic pro- a maker of different ceramic coating products for paint, gelcoat, glass, leather and metal. We’ve found these products work very well and have been applying them on boats here in Ft lauderdale and Miami to much praise. 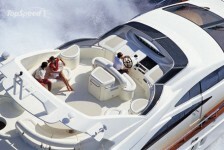 These marine ceramic coatings add depth and extra strong protection against scratches, UV damage and harsh chemicals. 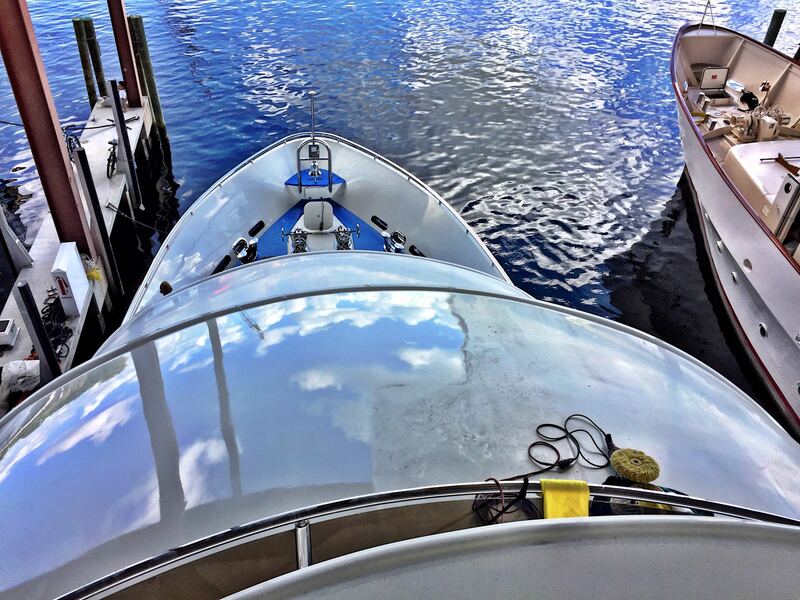 Although more expensive to apply the payoff is huge as the ceramic coating seals in the look of our yachts surface permanently with only the need of a reapplication every 14-20 months. No more harsh compounds that remove the depth of your paint and gelcoat which drastically increases the shelf life of your yachts surface. Freedom’s dual layer Ceramic Coating is specially designed for the Marine Environment and seals surfaces for years without the need for waxing. Applied by licensed applicators to guarantee the perfect surface prep and coating application- this highly durable, marine ceramic coating locks in your vessel’s high gloss finish-is scratch resistant and impervious to oxidization and corrosion. Recently a captain friend called me up and asked us to come look at his 112 Westport Yacht saying it was time for a proper polishing of the Alex Seal paint. This would be the 1st time the boat’s paint would receive a machine polish / restoration process to restore it to maximum color and shine. I could hear the hesitation in his voice as there are a lot of yacht polishing groups out there and many that can destroy a nice paint job with 1 bad step. I assured him that we would take maximum care of his boat and lead him through the 5 most critical steps to getting the very best yacht detailing result. Examine the paint to accertain the damage and decide which cutting compound and polish you will use. This is just like a doctors prescription for your ailment. 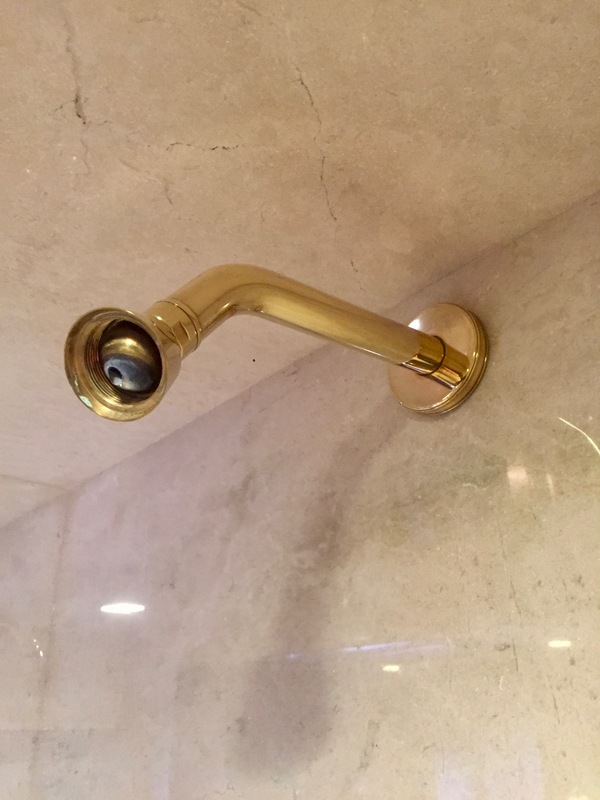 Typically if you can put your watch face up perpendicular to the painted surface and not see any hands it will need a 4-step polishing process. If only 1 hand is visible a 3-step paint polishing process and if only 2 hand showing a 2-step. Decide the very best polishing pad for the job. Today 3m has made huge strides with they’re dual sided foam polishing pads and we use these alot as they minimize swirls and leave a good level finish. If the yacht is gelcoat and heavily oxidized we recommend using super buff white wool compounding pads. Prep the surface before polishing your boat with a hard wash. A hard wash is soap and water with spray nine added for extra lifting qualities. 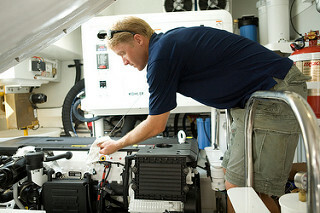 We tell our yacht detailers that the initial wash down of your boat is the chance to get alot of work done up front. Other wise you would be just pushing around dirt and filling your buffing pads up with crap, preventing them from doing they’re job. Work with the sun and wind. If you can start the compound and polishing on the shaded side of the boat this is good because when paint heats up it gets soft and is more susceptible to swirls in the paint. Work down wind if you can to avoid fall out being blown back into your beautiful yacht finishing. Between each compounding step wash the boat to remove any residual polish and change your pad. 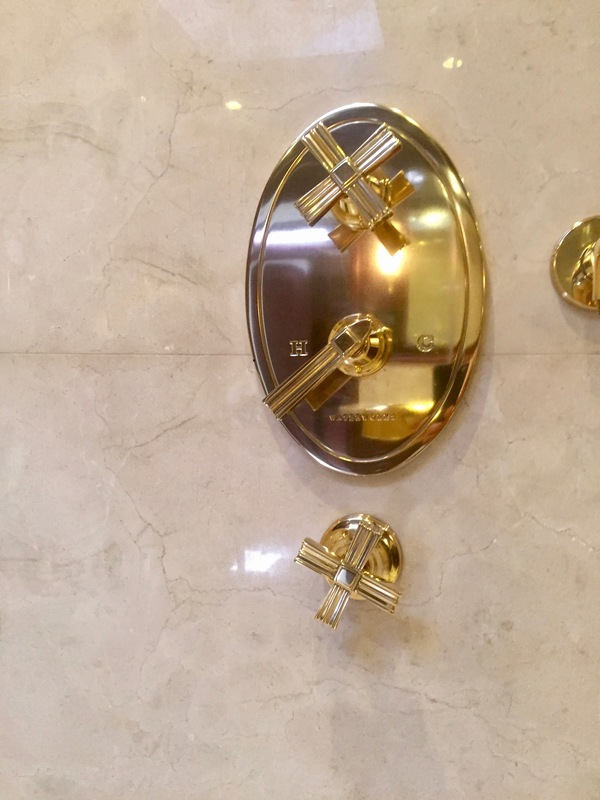 This allows the yacht detailing products to do they’re maximum good and will give you an excellent, clean finish. If using water from the dock make sure it goes through a proper wet spot water filter to remove hard minerals. 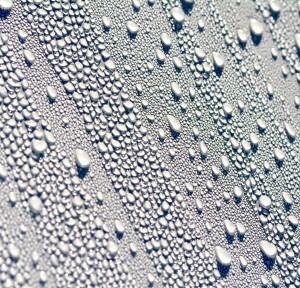 Using onboard water is optimal as it usually goes through a few staging filters to provide the softest cleanest water. For the 1st couple of weeks your initial rinse before wash will remove 80% of salt and dirt. Remember you can never give a boat enough water so soak really good before applying soap and mitt to clean your boat. Make sure to use proper concentrate to water ratio -it’s best to fill your bucket with water 1st before adding soap to prevent over concentration that will burn your boats painted surface. We recommend a soft wool pad that wraps around a backing plate and onto the shurhold pole, often used to wash overheads this pad minimizes friction. Use Soft blue Shurhold deck brushes only should you not like using the wool pad, remember Yellow bristle Brushes are a bit course and only to be used on the decks and or Hull. We highly recommend buying a few bottles of Permanon wash down gel soap-USE 1 time per month while washing your boat-this will clean and add wax to the existing coating to help bolster it. Buy some Permanon maintenance spray, this applies like an instant detail, just spray on (wipe in with a clean micro-fiber and remove with another clean micro-fiber) this spray is excellent for every type of surface-just remember to do small areas at a time when applying in direct sunlight-it’s best to apply in the shade. 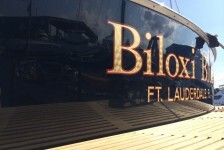 Needing your boat waxed or put on a regular maintenance plan? As with any piece of property, if you are planning to sell it, you will want to increase the value in any way you can. Much in the same way a house can be revamped and remodeled, a yacht can be as well. One way to do so is through a paint gelcoat restoration. 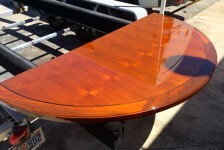 This paint gelcoat restoration can increase the value of your yacht and make it more attractive to prospective buyers. 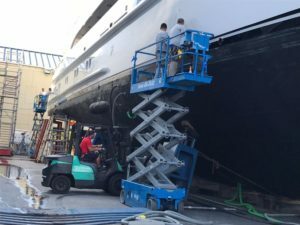 In this article, we will discuss several ways in which a paint gelcoat restoration can totally revamp your yacht. The project will give you a great ROI. 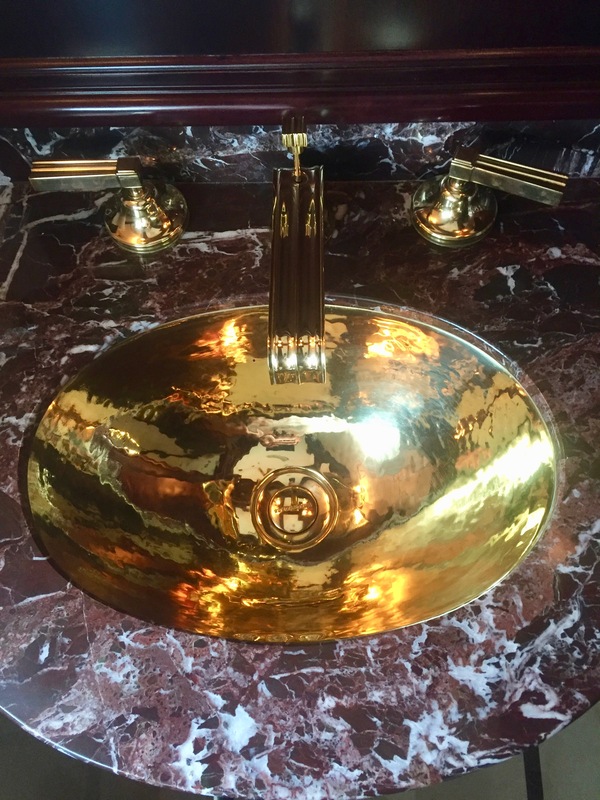 ROI stands for “return on investment,” which basically means that the money you put into a project will end up being made back—and then some—when you are able to put your remodeled piece of work onto the market. A gelcoat restoration improves the appearance of your yacht, and, as every owner knows, yachts are prone to dulling and wear-and-tear. The project will cost money, and it will also require some hard work, but it will be worth it, monetarily, in the end. Boats go through a lot as a result of the natural wear-and-tear of the ocean or lake. 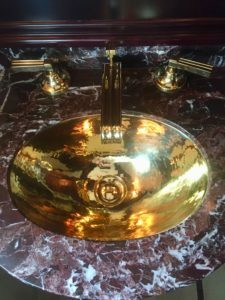 Although yachts are luxurious; they are, after all, piece of equipment just like any other. A gelcoat restoration involves multiple steps, all of which are geared toward both cleaning and shining the yacht. Cleaning, degreasing, waxing, and polishing are all some of the various ways that you can go about restoring your yacht to its former glory. A gelcoat restoration will make your boat shine. We are all consumers in some form or another, and, as consumers, we appreciate when someone has noticeably worked hard on a product we’re buying. Buyers take notice when someone has tried to make something as excellent as possible. Presenting someone with a dull or dingy yacht and asking them to buy it may be viewed as an insult to the buyer, and you likely won’t get many offers. 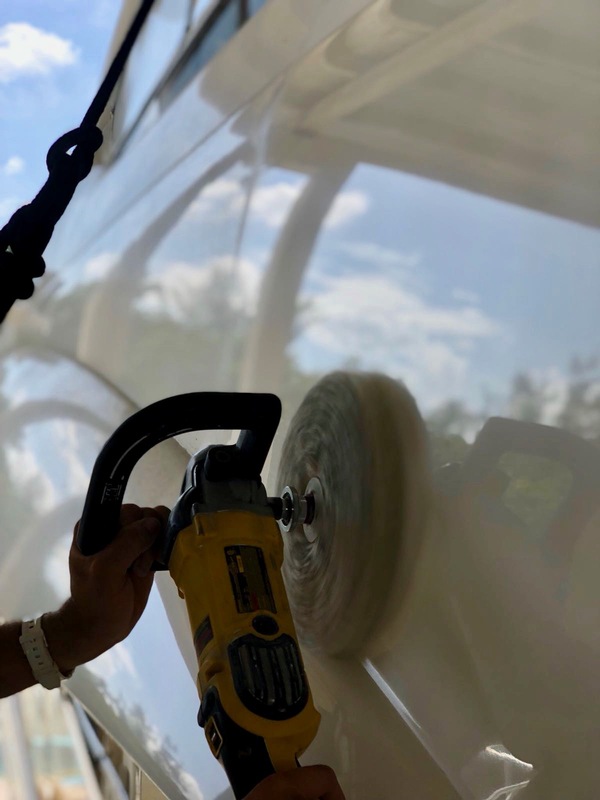 Restoring your yacht’s gelcoat shows that you’ve paid great attention to your boat, and consumers will find that an attractive selling point. Currently on the market, you see many different products offering gelcoat restoration kits and how-to guides. This is because the process of restoring your boat has become much more popular, as boat owners want to be able to compete with newer yachts on the market. A gelcoat restoration will keep your yacht looking just as valuable and consumer-worthy as others out there. Without such care and dedication, it’s probable that your boat will not be noticed. There are many other, much more expensive ways a yacht can be restored. This aesthetic adjustment is relatively inexpensive, but it is vitally important. Your yacht’s internal gear and seating could be top-notch, but if the outside looks shabby, buyers won’t want it. They don’t want to go through the hassle of gelcoat restoration themselves, and it’s easier to choose a boat at a higher price that has already been labored over and needs no new adjustments. Compared to a new motor, new upholstery, new machinery, and other costly tune-ups, a gelcoat restoration is relatively simple and easy-to-do. It is also timely. It shouldn’t take very long, as the drying phase, depending on the method of your choice, can be shortened. It also lasts for a decent amount of time—your boat could shine for a year after your gelcoat restoration. If you’re looking to increase the value and appearance of your yacht, a gelcoat restoration is the way to do so. It is cost-effective, timely, and will last for a while. This revamp will not go unnoticed by consumers, who will be willing to pay more for your yacht.